Trepat is a relatively obscure grape grown primarily in Northeastern Spain and used in blends and for making rosado and Cava sparkling wine. But in D.O Conca de Barberà, a tiny appellation in northern Tarragona, some producers are making it as a stand alone grape and it shows considerable potential, especially as a lighter, red wine that would pair nicely with meatier species of fish. 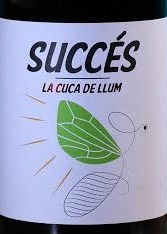 This is a natural wine from winemakers Mariona Vendrell and Albert Canela who started Succés Vinícola in 2011 when they were only 20 yrs. old. Stand-alone Trepat has always been in their lineup. Red raspberry with darker hints and a pleasing pungent aroma, not quite barnyard but in that direction, held in check by prominent floral notes, against a background of baking spice. Acid heads will like this wine. Slender, fresh and tart, the acidity is pronounced but is neither aggressive nor hard and the overall impression is of a vibrantly active wine that darts and flutters like an acrobatic butterfly. The introduction is fleeting and quickly develops an ascending line hitting very high citric and floral notes anchored by a tender mouthfeel at midpalate. The finish is mouthwatering with a squirt of lemon, the tannins yielding a soft, fine-grained sandy character but narrowly focused and shy. Pretty, coltish and, carefree like a young girl at play, the virtues of this wine are well highlighted by Katy Perry’s California Gurls. Technical Notes: Organic. 20-47 year-old bush-trained vines. Native yeasts with 30-day maceration aged 5 months on the lees in stainless steel and bottled with minimal SO2. Bodegas Breca is noted for their old vine vineyards in the mountains of Southern Catalyud from which they’ve produced impressive, affordable Garnacha since 2010. Unlike other bottlings from Bodegas Breca that I’ve tasted, this wine is sold under the Spain D.O. (Denominación de Origen) instead of the region of Catalyud and makes no mention of old vines on the label, so I’m not sure of the provenance of the grapes. But the wine has the signature dark fruit and minerality of old-vine, high altitude, dry-farmed Garnacha—and something more. Dave Phinney, creator of Orin Swift wines in the 1990’s, has a new project blending varietals from old vines from various regions of a country to make a wine that is not restricted by appellation rules. Called Locations, the geographic center of these wines is dispersed. This Spanish wine is sourced from Priorat, Jumilla, Toro, Rioja and Ribera del Duero and includes Garnacha, Tempranillo, Monastrell, and Cariñena. It comes down to the art of the blend. I don’t have the exact blend but the generous fruit and mineral notes on this wine remind me of Priorat in the modern, less oaky style. On the nose, dark plum, licorice, smoke, and charcoal are ascendant. Baked earth and a toasted cumin seed note hide in the background. In the mouth, the prelude is dense with fruit power extending to the midpalate where it begins to dissipate showing characteristic mineral notes. With more structure than finesse, the midpalate has a leathery texture, smooth but not supple with enough fruit to temper any rough edges. The acid and tannin on the medium-length finish oscillate from angular to soft velvet giving the wine a sense of playful urgency. Serve this with something charred. I paired it with a nicely crisped chicken breast in brown butter vinaigrette and the wine gave the char a luscious round, sweet note. This doesn’t wow with complexity but it is very active on the palate with lots of motion. Brash and confident, dark yet vibrant, a glimmer against the gloom, a defiant rebel with a cause, a Billy Idol wine. Technical Notes: 10 months in barrel. 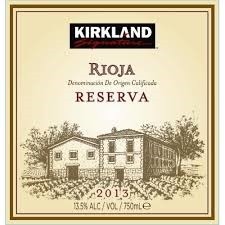 A Rioja Reserva for $7 raises eyebrows. Unlike the term “reserve” in the U.S., in Rioja “reserva” actually means something. It must be aged for 3 years with at least 1 year in oak. The winemaker’s notes say this 100% Tempranillo was aged in oak for 3 years so this wine exceeds minimum requirements. $7 wines made in the U.S would never see a barrel; their “oak” would be from chips or some other oak product. So this Costco wine looks like a terrific deal. After tasting I have to say, it’s just OK but has a unique personality and is a good value at this price. The nose is simple blackberry with an earthy, mushroom background and a hint of wood. The palate shows very soft, muted fruit upfront, a muddled midpalate with chocolate and tobacco that finally gains intensity as the finish begins with lifted, high toned acidity. The tannins are powdery, only a minor presence. This is a curious wine, so reserved and murky as it opens and so mouthwateringly citric as it finishes. It’s depressive then manic but the journey is not unpleasant and when you’re at this price point anything unusual is a treat. Recommended especially when accompanied by Kurt Cobain’s Lithium. Loaded with rustic vitality, aromas of baking spices, dried herbs, and damp leaves envelop ripe, red plum and blueberry. Medium grain tannins and bright acidity mix with apple cider hints giving this wine a tense, uncultivated personality, inviting but unpredictable. It represents great value if you like your company on the wild side. It’s not begging you to like it but the folksy charm and anxious complexity is infectious. 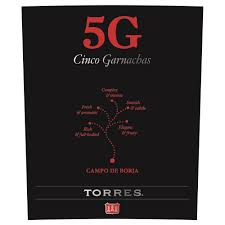 The wine celebrates 5 generations of the remarkable Torres family’s pursuit of quality Garnacha, the principle grape from Spain’s Campo de Borja region. Pair with jambalaya, andouille sausage, meat pies and Zarico Boogie. Ubiquitous, inexpensive, reliable, simple goodness. This is an ideal, go-to, everyday wine. 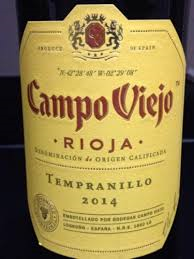 Black cherry, baking spices, with raw wood notes lurking behind the hints of vanilla, a classic Rioja nose with good intensity. in the mouth its juicy up front, medium body, but finishes dry and lean, with persistent, powdery tannins supporting cocoa on the finish. 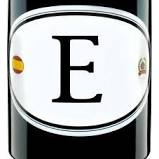 Wine labeled Rioja with no further classification are young wines with no or minimal oak (They were formerly referred to as Joven). This one spends 4 months in American oak. With medium acidity its charming rusticity is enhanced by Lyle Lovett’s I’ve Been to Memphis which pulls out the wines earthy quality. Take a small annual production of around 500 cases, add quality fruit from very old vines, and a high Parker score upon initial release and you get—a cult wine. Pingus certainly qualifies. Danish winemaker Peter Sisseck left Bordeaux and came to Spain to develop Hacienda Monasterio’s wine project, but was besotted by the old vine Tempranillo (tinto fino) he found while exploring Ribera del Duero. He snapped up the vineyards, started his own label and entered his wine in the 1996 Bordeaux en primeur tasting where Robert Parker gave it a score of 96-100, commenting that it was one of the most exciting wines he had ever tasted. Now you rarely find it for under $800 per bottle. Happily my wine tasting group was able to secure a bottle. The secret of their success, aside from wonderful vineyards, is low yields—under 1 ton per acre compared to the generally recognized standard of 3.7 tons per acre and well under even the best Bordeaux chateaux. 2001 was the first year in which the grapes were certified bio-dynamic. At the time Sisseck was using 100% new French oak for 24 months, although in recent vintages he has been dialing back the oak treatment with primarily 2nd use barrels. The test of a fine wine is in the finish and the finish on this wine is gorgeous—smoky, long and lifted with tannins the texture of cashmere. The nose is rich and powerful with blackberry and smoke dominant. Floral, red fruit and balsamic notes unfurl as the wine sits in the glass. As is often the case with great wines, the complexity emerges gradually over time. On the palate, the wine is dark-fruited and laced with roasted meat notes but the expectation of weight and concentration isn’t quite fulfilled. Surprisingly buoyant and elegant, it’s expansive at midpalate but never throws a big punch seamlessly wending its way to that ravishing finish. Generally speaking, Spanish wines are defined by oak with vineyard expression playing a less important role. But a finish like that is made in the vineyard not in the barrel. This is about very carefully tended old vines, low yields, and precise berry selection. It naturally invites comparisons with Ribera del Duero’s other renowned wine—Vega Sicilia Unico (which I reviewed in 2015). 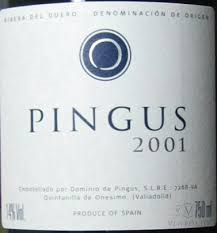 The Pingus is 100% Tempranillo while the Vega Sicilia is blended with 20% Cabernet. That is a crucial difference. Memory is an unreliable guide but Vegas Sicilia Unico had more complexity and power which is to be expected given the addition of Cabernet. Another apt comparison is with another pricey product from Northern Spain–Bodega Numanthia-Termes “Termanthia” from Toro. The 2005, which we also tasted at this sitting, was huge, concentrated, and alcoholic with robust oak expression and soft tannins—a lovely wine but lacking the finesse of the Pingus. At these prices one wants perfection. In the end, I was only modestly disappointed in the Pingus. I needed more midpalate depth for the experience to be complete but the elegant finish almost made up for it. Spare, elongated melodic contours will highlight a finish like this. Bursting with fleshy dark fruit, dried fig and smoke, with toasty oak on the nose. In the mouth it’s full bodied and juicy up front gaining coffee notes at midpalate as it turns lean, yet firm showing vibrant acidity and ripe, integrated tannins but with a surprising bitter note lingering as it fades. 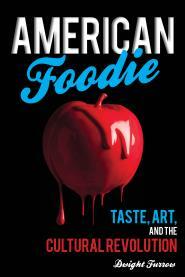 A bit of a changeling from bold, succulent, sensuous introduction to a more svelte, yet edgy finish. It sustains a hint of sweetness from beginning to end to maintain balance. Lots of flavor and structure for a budget wine, an excellent value. The grapes are Cencibel a clone of Tempranillo well adapted to the hot summers and strong winds of La Mancha in central Spain. Fermented in stainless steel with malolactic fermentation occurring in clay amphoras and aged for 6 months in French oak. Pair with grilled steaks or burgers. The nose on this wine shows ripe blackberry and cumin spice—and a pervasive background of wet newspaper. Hmm. Wet newspaper is evidence of TCA (trichloroanisole) otherwise known as cork taint. Normally when I find TCA in a wine (which is rare these days) I don’t review it because the problem is with the cork, not the winery, and it can happen to anyone. Furthermore, it is unlikely to characterize other bottles of the same wine so there is little value in calling attention to it. But this wine has a synthetic cork and TCA happens only to natural cork. Furthermore, TCA can come from barrels which is a winery issue and may effect other bottles of the same wine. So I will review this wine. If you’re a fan of the aromas of wet newspaper you might like it. I’m not. And on the palate the bold yet charred fruit up front gives way to a hard texture and a sour finish. This one went down the drain. But the picture on the bottle is lovely. There are a lot of good bargains in Spanish wine these days. This is not one of them. Give it a pass. I don’t know what kind of music would make this taste better so I will leave you to your own devices on that. Just conjure the ugliest song you can imagine and the match will be reasonably precise. The most fascinating presentation at last month’s Society of Wine Educator’s Conference was Bodegas Torres’ project of recovering ancient grape varieties that had disappeared, it was thought, without a trace. 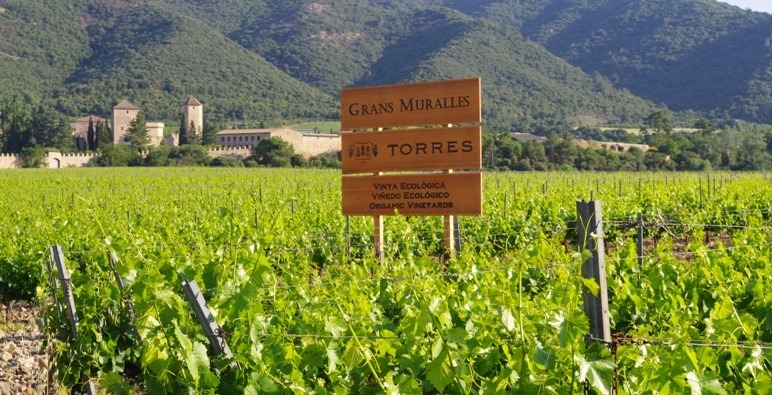 Torres is one of the largest wine companies in Spain with 2000 hectares of vineyards (approximately 5000 acres) spread throughout all the major Spanish wine regions and with substantial holdings in Chile and the U.S. as well. Only a wine company with those resources could undertake a project like this. Since the 1980’s they have been spearheading an attempt to recover ancestral grapes, and that project has finally borne fruit as well as wine. 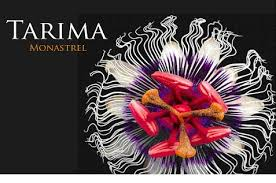 They have revived 40 varieties that had survived phylloxera but had been forgotten or never identified and have made wine from them. The company’s General Manager Miguel Torres Maczassek brought 6 of them along for us to taste as he explained the history of the project and its current status. The idea that there might be unknown varietals occurred to Miguel A. Torres in 1983 after which he and his staff put ads in local and regional media calling on Catalan farmers to get in touch with Bodegas Torres if they came across vines they could not identify. In 1985 they had identified the first vine that their technical team could not identify. They named it Garro and over a period of ten years the plants were checked for disease by growing cultures in the lab, studied in the greenhouse and vineyard to understand the weather and soil conditions under which they would grow, and then were made into wine in small batches to explore their potential. Because the results were promising they decided to plant the variety and add it to the blend for their Gran Moralles bottling in 1996. In 1998 a second variety was discovered, named Querol after the village where it was found, and by 2009 that was also included in the Gran Muralles blend. That early success accelerated the process and the project is now working with 40 varieties of which 7 seem to have potential as wine grapes. Garro and Querol are already included in their production and 5 others are in the experimentation stage and in the process of receiving the necessary approvals before production can begin. Some of these varietals not only make good wine but are more resistant to high temperatures and drought than current varieties thus making them attractive for the future. But since it can sometimes take decades to bring a varietal from initial discovery to wine in a bottle and approved for sale, this is hardly a commercial venture. It is indeed a labor of love. Forcada 2015 Named after the village it was discovered in, this is a white wine with pleasing floral, citrus and mineral aromas. It had herbal notes on a textured palate with a chalky finish. 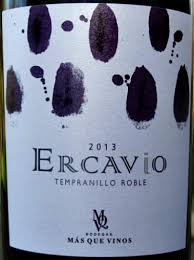 It is more expressive than the more traditional white grapes of Catalonia—Maccabeo and Parrelades. It reminded me of the Italian grape Vermentino. All stainless steel fermentation with lees contact. Pirene 2015 A high altitude red grape, it has a beautiful, rich nose, very spicy with high acidity and powerful minerality on the palate, almost steely. Medium length finish with soft tannins. A bit like a Pinot Noir, aged in 2nd use oak. Garro 2014 Sweet flowers on the nose, quite aromatic with some eucalyptus hints. On the palate it’s very fresh with high acidity, a mineral core, and cranberry on the finish. Aged in new French oak. This is the wine that has been used for many years in their Gran Muralles blend. Moneu 2015 This grape flourishes in the dry, hot continental climate of Costes del Segre. It is round and fruity with plum and blackberry and a very sweet nose. Some tannic grip that was accentuated by high acidity. Aged in 2nd use barrels. Gonfaus 2015 Perfumed with orange peel notes, a round, full texture and long finish. Aged in 2nd use barrels. Querol 2015 A strange grape, very small with few seeds and it does not pollinize. Very deep color and high alcohol (15.2%), this is an intense wine with vibrant pomegranate, very high acidity, and prominent tannins. Aged in new oak barrels. This too is being blended into their Gran Murralles. Finally we tasted two vintages of their flagship Gran Muralles, 2006 and 2010. These are beautiful wines blends of Garnacha, Monastrell, and several other varietals. The 2006 is showing garrique, floral and mint characteristics, very complex. The 2010 was equally promising with an explosive nose helped along no doubt by the 20% Querol in the blend.